Specialized Electronic Services recently did a large retrofit job removing some obsolete Square D Omegapak AC Drives and replaced them with some Square D Altivar ATV61 series AC drives. The original VFD units were in factory made buckets and we pulled out the old VFD units and had the new units dropped into the existing bucket saving the customer a lot of money by not having to replace the entire bucket. The job was done for the City of Greenville in a water treatment facility and if you have a need for a retrofit job in your facility call us to see what we can do to retrofit out your obsolete equipment. 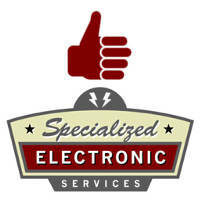 At Specialized Electronics we try to use as much of your existing equipment as we can to save you money. Many customers think they need to replace a whole bucket or panel when doing a retrofit of an obsolete drive. In many cases this is not true or necessary. If the AC drive is the only component bad in many circumstances we can retrofit out the drive for the end user and maintain using the rest of the existing components, saving you time and money.